NORWELL - Herbert Barrie Fulton, Weymouth native, Navy veteran & longtime resident of Norwell, passed away peacefully after a five-year struggle with dementia on September 7, 2018. Herb is survived by his loving wife of 57 years, Ellen (Lunan) Fulton, four children and their spouses: Cynthia Fulton Biagini, and Robert Biagini of East Weymouth; Kenneth and Julie Kelly Fulton of Scituate; David and Lisa Heimarck Fulton of Cohasset; Kathleen Fulton and Alex Whitmore of Scituate. He leaves his beloved ten grandchildren: Alyssa and Brian Biagini of Weymouth; Jack, Luke and Reid Fulton of Scituate; Tucker and Kira Fulton of Cohasset; Cora, Sloane and Tessa Whitmore of Scituate. He was predeceased in 2001 by his oldest brother Luther Fulton of Weymouth. He is also survived by Luther’s wife Paula Fulton of Weymouth; his brothers, Norman Fulton of Hingham; Dr. Robert Fulton and his wife, Dr. Anne Fulton of Weymouth; Neil Fulton and his wife, Adele Fulton of Norwich, VT.; Marilyn Fulton Pike of Dunstable; Carol Fulton of Newton; Nancy Fulton and her partner, Peter Miner of Somerville. He also leaves many nieces, nephews and also, cousins in Nova Scotia. Herb attended Weymouth schools & Northeastern University. His math skills and his degree in Structural Engineering served him well in his lifelong role as a builder known for his integrity and quality work. For many years, Herb managed the family business, Lester R. Fulton & Son, founded in Weymouth in 1926 by his father. The business now 92 years, did commercial work, custom homes and many restorations to historic buildings including Old Derby, the Benjamin Lincoln House, Old Ship Church, Talbots Store & Warehouse, First Parish in Norwell and more. 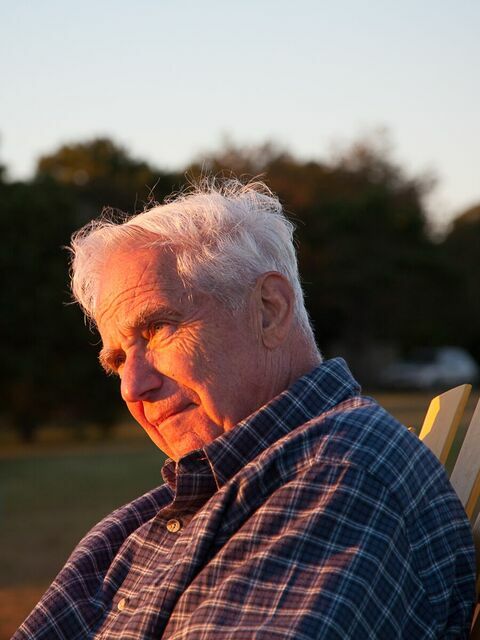 Always in leadership roles, Herb Fulton wore many “hats” in his beloved town of Norwell. He served on the Building Code Board of Appeals, 1971-73; Special Police Officer 1973-85; Ambulance Committee 1967- 1990 (24 years); Permanent Building & Maintenance committee; Communication Study Committee; Special Police Officer 1973-85. A passion for the science of firefighting led to courses at Massasoit and to NFD service from 1963- 1990, first as firefighter, then Call Fire Captain & later as Deputy Chief. As Civil Defense Director, he worked closely with the police and fire chiefs. In 1974 when the state mandated EMT training, Herb organized, recruited and trained a volunteer ambulance crew of EMTs which served the Town from 1976 to 1990. Prior to EMT training, Fire & Police had responsibility at accidents and trauma scenes and the motto was: “You call – we haul.” Herb found his prior lack of preparation for trauma scenes distressing and he welcomed the EMT Training opportunities. He took fire-related calls at home every night, plus during the day at his Weymouth business for 30 years. There were a number of close calls and life-threatening events during his volunteer & ambulance fire service. His role in the harrowing Scituate rescue attempt during the early hours of the night during the Blizzard of 1978 was a landmark life event which never left his thoughts. The story is chronicled, in part, in the book “Ten Hours by Dawn” by Michael Tougias. In addition to his many voluntary leadership roles in Norwell, Herb served on the Board of Directors at East Weymouth Savings Bank where he also chaired the Audit committee for several years. In 1990, he became a silent partner with Joe Striano of Jackson Square Paint, another longtime East Weymouth business. Since 1974, he was a member of the Black Pond (Norwell) Stewardship committee. An 11th generation descendant, he was a life member of the John Alden Society; also, he was a life member of the Bare Cove Fire Museum in Hingham. He was a charter member of the UCC Norwell. Special thanks to all the staff at Cardigan Nursing Home of Scituate for their compassionate care during Herb’s recent five-week stay & also, to Dr. Michol Negron of Norwell. Herb was also truly grateful to the friends and relatives who supported him through this lengthy and difficult battle with dementia. A celebration of Herb’s life will be held at the United Church of Christ (UCC Norwell), 460 Main St., Norwell on Saturday, September 22, 2018 at 11 am. In lieu of flowers: donations in Herb’s memory may be made to CERE: the Center for Eye Research & Education of Boston or http://www.cere-foundation.org or to Dana Farber www.danafarbergiving.org/Donations/Cancer .